We offer delivery and installation services by appointment in the greater Seattle area. Our experienced staff can help with art hanging, mirrors, security mounts and placement of your collection. Delivery and pick-up of artwork for framing are also available. Call us at 206.324.4742 to discuss your needs. We assisted a client in the arrangement and hanging of her diverse collection of paintings, prints, masks, and mirrors to create a fun gallery wall that truly expresses her travels and her style. Small items are grouped to create visual balance against a large painting and framed textile piece. 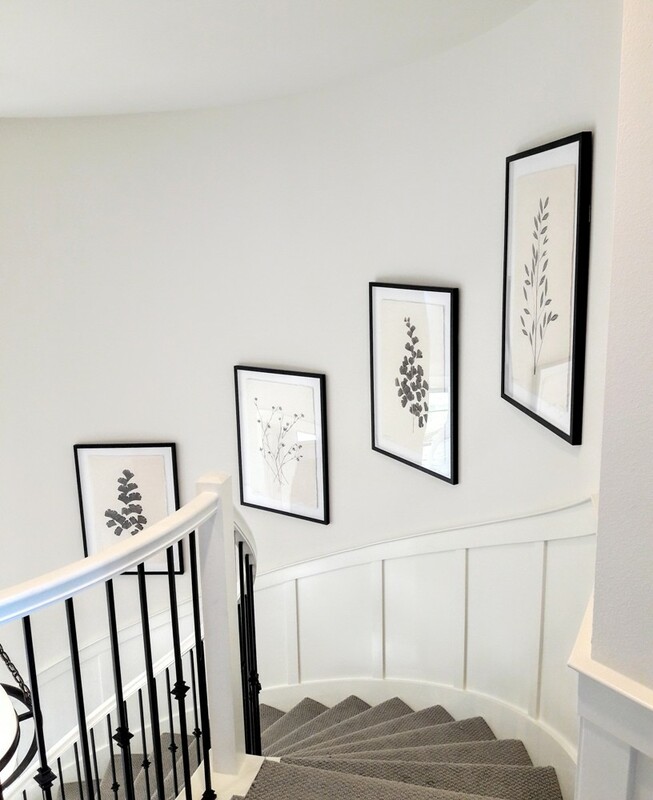 An interior designer chose these beautiful leafy prints for this curved staircase in a new home. We installed them at an appropriate height and spacing to be enjoyed from different vantage points. Hanging artwork is an art in itself! A series of postcards and photographs of Paris are framed to the same size, allowing us to install them in a grid above the client's bar. Dark wood framing with gold trim is a classic European look that never goes out of style. Our staff pays careful attention to details like spacing and height as we install wall groupings. 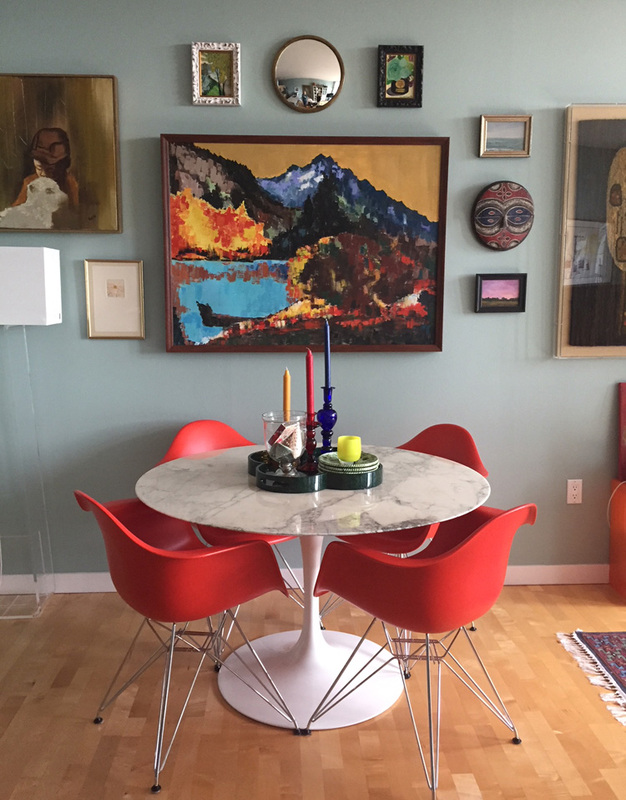 Investing in a large painting or poster for a key space pays visual dividends. Smaller prints and art items can be displayed nearby. A wide textured frame by Larson Juhl completes this stylish interior. 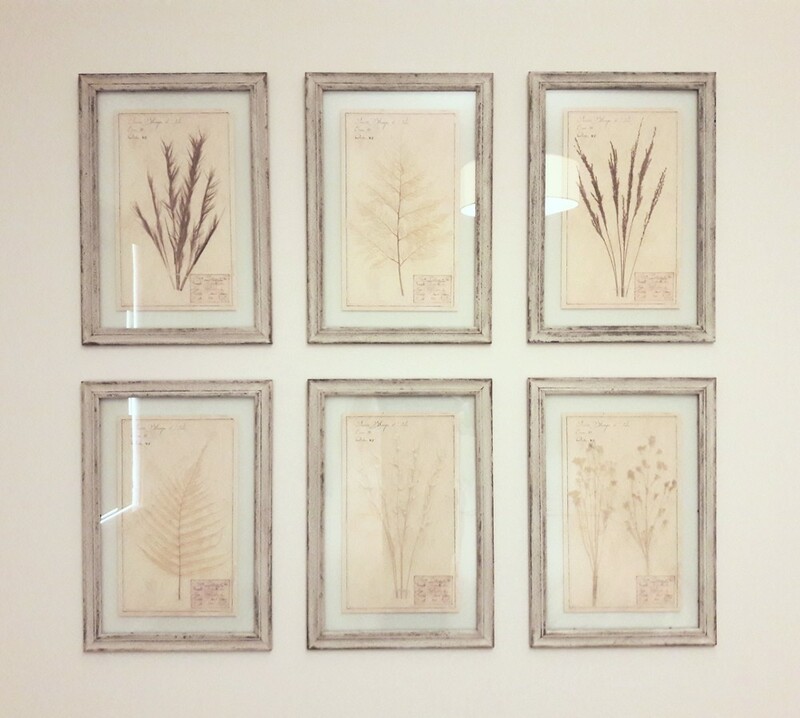 A simple rustic frame offsets these textured collages of wild plants and flowers. Double glass lets the image float inside a the frame for a minimal look. Tip: You will see your wall color through the glass border!